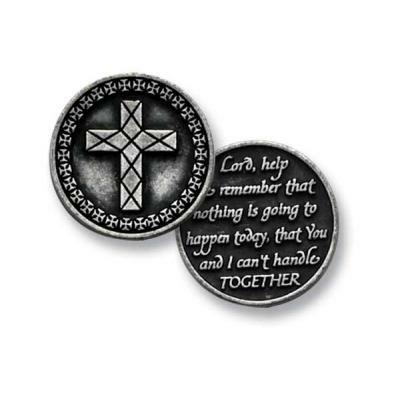 Coin features a cross on the front and the back reads: Lord, help me remember that nothing is going to happen today, that You and I can't handle TOGETHER. Pocket token measures approx. 1" and is made of lead free zinc.